Indian e-commerce has experienced some major changes, yet there is surety of better advancement for its future in it. It seems to be completely clear that the reasonable focus on contribution sustainability and margin will be versus the previous race of the market. The ecosystem is key empowering influence of manageability or sustainability for an industry. For instance, it is unviable for all e-commerce players to manufacture end-to-end logistics and payments/wallet competences internally. Certain patterns or trends of ecosystem are rising which may help web based e-commerce business organizations turn out to be more reasonable after some time. If we talk about the area of market that e-commerce has covered since the start of the trend then we will see that it is huge. 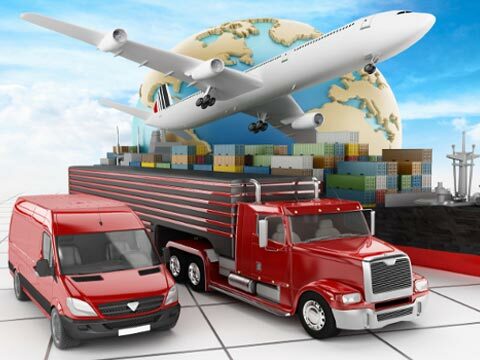 Logistics-technology businesses market has moved to such higher approach and it is expected that it will surge up to $9.6 billion in revenue by the year 2020. The rise in the figure is quite tremendous since the revenue count of the year 2015 was around $1.4 billion. This was analyzed and stated in an official report of investment bank Avendus Capital. Logistics is a state which can be referred to the state of rubber meeting the road. On the other hand, glamour of e-commerce meets disconnected reality loaded with tidy, sweat and lost/ wrong/ postponed shipments. Along with time, not only technology has moved to another level, but the demand of the market has also been directed to complete new direction. In comparison of past report results of market, it is quite clear that the market demand has been increased to a huge level due to the presence of online buyers which make e-commerce even major part of the market and revenue. However, when the demand increased for products and services, the requirement and expectation of perfect delivery and complete product purchase satisfaction has also become part of it. This is something that becomes the biggest challenge for the industry because satisfying customer in present time e-commerce is much more challenging in comparison of old time market. In order to bridge the gap that was caused by the market changes, many reputed e-tailers, for example, Flipkart, Jabong and Amazon changed their approach and preferred developing their in-house Captive Logistics support, for example, in-house Captive Logistics support of Flipkart is Ekart, Amazon’s in-house Captive Logistics support is Amazon Transportation Services Pvt. Ltd. and Jabong’s in-house Captive Logistics support is GoJavas. These are the startups that have been developed due to the requirement of advancement in the e-commerce logistics market and they are offering an efficient logistics solution which is completely focused on e-commerce. · End-to-end e-commerce arrangements, including internal, packing, picking, racking, transportation and accumulation. · Straightforwardness into logistics organization's procedures through APIs, which can diminish returns (and costs) and bring consistency. · Adjustable warehousing bills (per order delivered or shipped) that help oversee costs at a lower scale, and a projection for diminishment in per unit cost with expanding size of the e-commerce business. · Traditional players of the logistic market, such as Blue Dart, Gati, FedEx, Safexpress, India Post, etc. have also finally come up with their very own logistics solution which is focused on e-commerce. · Devoted e-commerce business divisions inside customary or traditional players like Aramex and Bluedart etc. · New e-commerce business logistics experts, for example, Holisol, Delhivery and Chhotu. These organizations and groups have a tendency to be more ravenous, creative and agile than their customary partners. However, they are building their capacities. Likewise Mudita is interesting for shipments of bulk inter-city. If we talk about the stats and facts of the analysis, then we will find out that the World Bank rank of India has been moved up with the advancement of 19 places. These rankings are for categorizing and highlighting global logistics performance so that the improvement can be reflected in the movement of goods inside the country which will eventually result in the better trade facilitation. According to the Logistics Performance Index (LPI) of the World Bank, it is stated that India was ranked 54th in the year 2014, however, it has reached to the 35th spot right now. The advancement and reshaping of E-Commerce Ecosystem in India is the result of change in the trends, strategies and approaches. For example, LatestOne.com has Aramex and BlueDart as their official logistics support which provides seamless products delivery to their customers. These kinds of delivery patterns are being adopted by other companies as well so that the challenge of satisfying client can be solved. The easiest way to handle a challenge like this is to adopt the right strategy that will allow new, traditional as well as enthusiastic e-commerce business logistics experts to become capable of fulfilling the needs of e-commerce buyers along with satisfying their expectations.